Russia-based Diamond Fortune Holdings Prim LLC says it has “adjusted” its casino project for the Primorye Integrated Entertainment Zone (IEZ), near Vladivostok, after welcoming a new Japanese investor. Japan-based Simple Create Co Ltd “has become a partner” of Diamond Fortune, the latter company confirmed in a press release. The announcement was published by the local authorities in Primorsky Krai, the administrative region of the Russian Far East that is home to the Primorye IEZ. 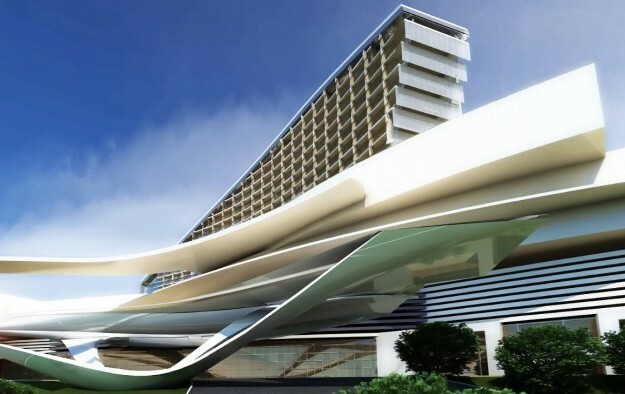 “Simple Create will participate in the construction” of Diamond Fortune’s casino resort currently being developed in the Primorye IEZ, according to the document. Diamond Fortune plans for an aggregate investment of about US$270 million for its project (pictured in a rendering), a scheme now known as “Imperial”. Previously, the project had the working title “Selena”. The Primorye IEZ is a casino development area located 50 kilometres (31 miles) from Russia’s Pacific port city of Vladivostok. The area is being promoted by the Primorsky Krai Development Corp (PDC), a public-sector company under the Department of Tourism of the Primorsky provincial government. Since 2017, tourists from 18 countries – including China and Japan – arriving via the Vladivostok airport or seaport have been able to secure a visa on arrival, provided they have filed an application online at least four days prior to their visit. According to the release issued about Diamond Fortune’s venture, Japan’s Simple Create is engaged in a wide range of projects in its home market, “from real estate to trade in petroleum products”. The Japanese company already has experience in investing in Russia, after launching – with local partners – a medical centre in the Khabarovsk region of the Russian Far East, according to the document. Koyama Nobukadzu, chairman of Simple Create, was also quoted in the release. The executive said the decision to invest in a casino resort in the Primorye IEZ was made because of “confidence in the success of the project”. The first phase of the Imperial complex will include a hotel and a casino with 50 gaming tables and 300 slot machines, according to the latest release. “Construction should take about 18 months, and the first phase [of the property] should be completed and ready to open by September 2020,” said Thomas Gibbons, chief executive of Diamond Fortune, in a recent interview with GGRAsia. The second phase of the project will involve construction of another hotel tower with an additional 300 rooms. Mr Gibbons had told us that phases two and three of the casino resort would be developed “according to the market” conditions. The property will also include shops, nightclubs, restaurants and a spa. In a written reply to GGRAsia regarding Simple Create’s investment, Mr Gibbons said that had not altered Diamond Fortune’s plans. “All targets are on track and the schedule remains the same,” said the CEO.